MRM’s News Bites features ezCater and GoCater, Upserve and SimpleOrder, Revel, ShopKeep, Aramark, The 5700 Inc., Foodation and Oracle, Impossible Foods and Tim Horton’s. 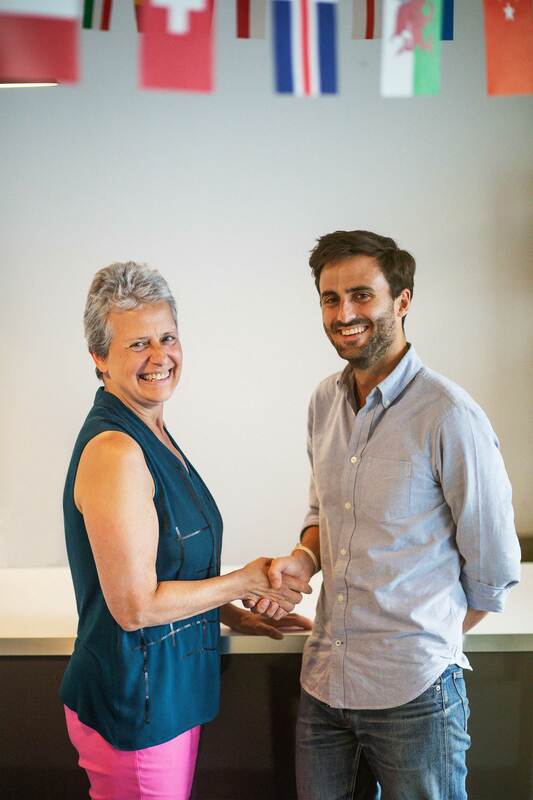 ezCater acquired GoCater, the Paris-headquartered corporate catering platform. The acquisition comes on the heels of ezCater’s $100 million Series D funding round, and expands the company’s footprint to Europe. In less than two years, GoCater has acquired hundreds of catering partners across France and Germany and now serves thousands of business customers. As part of ezCater, GoCater will dramatically expand its catering partner network, by adding the European locations of popular U.S. restaurants, as well as many more European catering chains and independent favorites. Upserve acquired inventory management platform SimpleOrder, which will now become Upserve Inventory, designed to help restaurants streamline operations, cut food costs, and grow profits. Fully integrated into Upserve’s complete restaurant management platform, Upserve Inventory gives restaurant owners control over back-of-house operations with real-time food costing, automated inventory management and one-click purchasing. The solution provides full visibility into inventory and purchasing trends. In addition, restaurants using Breadcrumb POS by Upserve gain a more holistic view into the profitability of their menu, allowing them to adjust each dish based on sales and recipe costs. SimpleOrder will continue to operate outside the United States as SimpleOrder by Upserve. SimpleOrder, which operates in over 25 countries, was founded in 2012 and has been backed by Ibex Investors and Cyrus Capital Partners. “We’re absolutely thrilled to be teaming up with a forward-thinking company like Upserve to realize the vision of an end-to-end solution for the restaurant industry,” said SimpleOrder CEO and co-founder Guy Even-Ezra. Revel Systems announced its 2018 two-day user conference, Revelry!, will bring together restaurant and retail business owners and operators, business management thought leaders, and technology experts for thoughtful discussions about business growth, hands-on workshops with the Revel platform, opportunities to network and to join together in celebration with a party to remember. The conference will be held at the San Francisco Hyatt Regency, featuring speakers, panels, and workshops highlighting the industry thought leaders, top talent in the Point of Sale industry, and Revel customers from every vertical, along with ample opportunities for networking. “Revelry is a unique opportunity to bring everyone in the industry together and for two days, learn from one another’s successes, share in the industry’s latest innovations and trends, and ultimately walk away inspired to achieve your greatest business goals,” said Revel’s CEO, Greg Dukat. Carla Hall, co-host of The Chew and former Top Chef competitor, will be Revelry’s keynote speaker. The purpose of Revelry is to empower business owners and operators of any size to uncover new ways to grow their business, build meaningful and lasting connections with those in their field, and celebrate their wins. The conference will take place on September 6 and September 7 in San Francisco. Click here to register. ShopKeep partnered with trusted credit card processing company, Gravity Payments, to offer ShopKeep’s POS software with Gravity’s transparent payment processing service. Gravity is the first third-party partner to directly bundle and resell ShopKeep’s POS platform as part of ShopKeep’s new wholesale initiative. The program is currently live, with Gravity Payments actively selling and onboarding new customers onto the ShopKeep app. ShopKeep has adapted its platform to fully support wholesale distribution of its software, including a new partner portal that enables third party sales agents to easily board new customers onto the ShopKeep platform as a value-add offering to its own services. The program is a move to compete in the ever-evolving and highly competitive POS market, where companies are battling to ‘own the countertop’ of small and independent merchants. Through this partnership, Gravity Payments robust team of non-commission sales representatives will now be able to offer their 20,000 small business customers ShopKeep’s top-rated point of sale software to help those businesses efficiently manage operations and point of sale for their business. “We never enter into partnerships lightly. Every decision is made with our independent business owner in mind and must result in a better experience for them while not compromising our values. We believe our partnership with ShopKeep does just that and the systems that they have built to support the wholesale model makes it really easy for us to onboard business owners onto the product, creating a great experience for our customers,” says Dan Price, Founder and CEO of Gravity Payments. Aramark will take steps to reduce its single-use plastic footprint across its global operations. The company’s strategy includes plans to phase out plastic straws and stirrers, while ensuring they remain available in healthcare facilities and for people with physical disabilities. The company will look to decrease plastic straw use by 60 percent by 2020, representing 100 million straws per year. Aramark will prioritize the reduction of single-use plastic in additional categories, including bags and cutlery. The company plans to expand its offering of reusable water bottles, mugs, takeout containers, and bags. Importantly, Aramark will work with national brands and suppliers to decrease packaging through innovation and design. Aramark will also work to educate consumers on the impacts of single-use plastics, and publicly report on its progress to ensure transparency and improvement. Earlier this year, foodservice company Bon Appétit Management Company announced it is eliminating single-use plastic straws and stirrers. “With this announcement, Aramark has raised the bar for action on single-use plastics. Not only has the company promised to reduce its reliance on throwaway plastic immediately, it will prioritize reusable systems, better design and innovation, public education, and transparency. This new global policy puts direct pressure on other foodservice and fast moving consumer goods companies to act on the plastic pollution crisis immediately. Parkdale is about to get three new vegan restaurants and the company behind them iis throwing a weekend-long block party to celebrate. 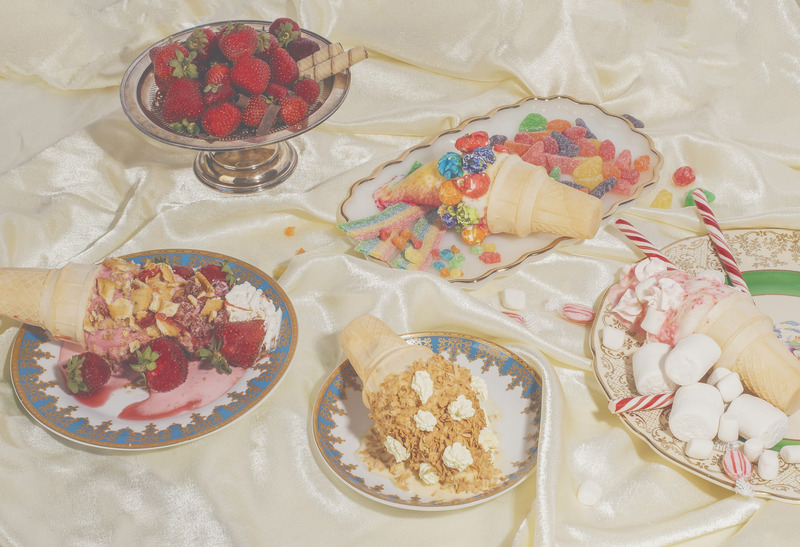 Having recently announced the opening of Vegandale Brewery and the Vegan Danish Bakery, Copenhagen Cafe, The 5700 Inc. are now adding a next level soft serve shop, called Not Your Mother (or NYM for short) to their mecca. All three locations will open to the public on Thursday, August 2 on the stretch of Queen between Dufferin and Brock. Located inside of Vegandale Brewery, NYM will offer an inventive selection of over-the-top cones like the Apple II – vanilla soft serve topped with flaky pie crumbles, apple pie sauce, caramel and bacon bits. Menu items can also be ordered in housemade bubble waffle cones or blended as milkshakes. Following a nostalgic 70’s theme, NYM is Toronto’s first all-vegan ice cream bar to share in Vegandale’s unapologetic views on veganism. With cows at the front and centre of this conversation, they’re showing customers you don’t need to steal someone else’s milk to make superior ice cream. After all, exploiting animals is not groovy. There will be a block party over the August long weekend (starting August 2nd at 5pm and running through to Sunday, August-5th) to celebrate the grand opening of Not Your Mother, Vegandale Brewery and Copenhagen Cafe. This weekend will also mark the reopening of The Imperative, an all vegan retail concept store already in the neighbourhood. Guests will also have their first chance to enjoy Doomie’s vegan comfort food for the first time within the 100-seat restaurant at Vegandale Brewery. Foodation, an Italian company that specializes in designing and developing fast-casual restaurants across Europe, has chosen Oracle Hospitality Simphony Cloud for its restaurants, including the Briscola Pizza Society, Polpa Burger Trattoria and Mariù Italian Kebab. With 10 restaurants and plans for international expansion, Foodation needed a technology platform that could support the strategic growth of its business and offer a single view of operations across all of its restaurants. Additionally, the company wanted to increase operational efficiency through centralization, improve functionality and modernize the customer experience. Oracle Simphony Cloud provides Foodation with one centralized system to manage operations across all six brands, allowing centralized reporting and auditing for the management team, together with drill-down capabilities to real-time order-specific information. This minute-by-minute detail enables maximized revenue and profitability. In addition, Oracle Simphony Cloud integrates all digital channels, such as mobile payment, mobile ordering and mobile applications, for one centralized view of the customer, helping to accelerate speed of service and enhance the overall customer experience. Impossible Foods has received a no-questions letter from the US Food and Drug Administration, accepting the unanimous conclusion of a panel of food-safety experts that its key ingredient is safe to eat. Impossible Foods makes meat directly from plants — with a much smaller environmental footprint than meat from animals. The company uses modern science and technology to create wholesome and nutritious food, restore natural ecosystems and feed a growing population sustainably. The company’s flagship product, the Impossible Burger, is available in nearly 3,000 locations in the United States and Hong Kong. It’s the only plant-based burger featured in America’s most beloved “better burger” concepts Fatburger, Umami Burger, Hopdoddy, The Counter, and B Spot (the Midwest burger restaurant owned by Chef Michael Symon); earlier this year, America’s original fast-food restaurant, White Castle, added the Impossible Slider to menus in 140 restaurants nationwide. 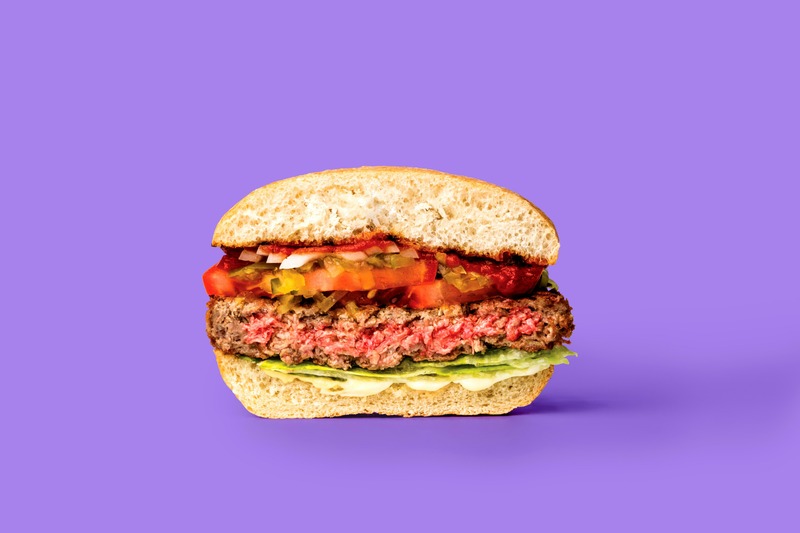 The Impossible Burger is made through a combination of plant-based ingredients. A key ingredient is “soy leghemoglobin.” Soy leghemoglobin is a protein that carries “heme,” an iron-containing molecule that occurs naturally in every animal and plant. Heme is the “magic ingredient” that enables the Impossible Burger to satisfy meat lovers’ cravings. Before issuing its no-questions letter, the FDA reviewed comprehensive test data about soy leghemoglobin to assess its status as “generally recognized as safe,” or GRAS. As standard process, the FDA posted the full, 1,066-page submission from Impossible Foods on its website for public review. FDA researchers also reviewed the comments of top food safety experts, who unanimously concluded multiple times that soy leghemoglobin is safe to eat and compliant with all federal food-safety regulations. “We have no questions at this time regarding Impossible Foods’ conclusion that soy leghemoglobin preparation is GRAS under its intended conditions of use to optimize flavor in ground beef analogue products intended to be cooked,” the FDA stated. In issuing the no-questions letter, the FDA also noted that soy leghemoglobin could be considered a “color additive” in some potential future applications. 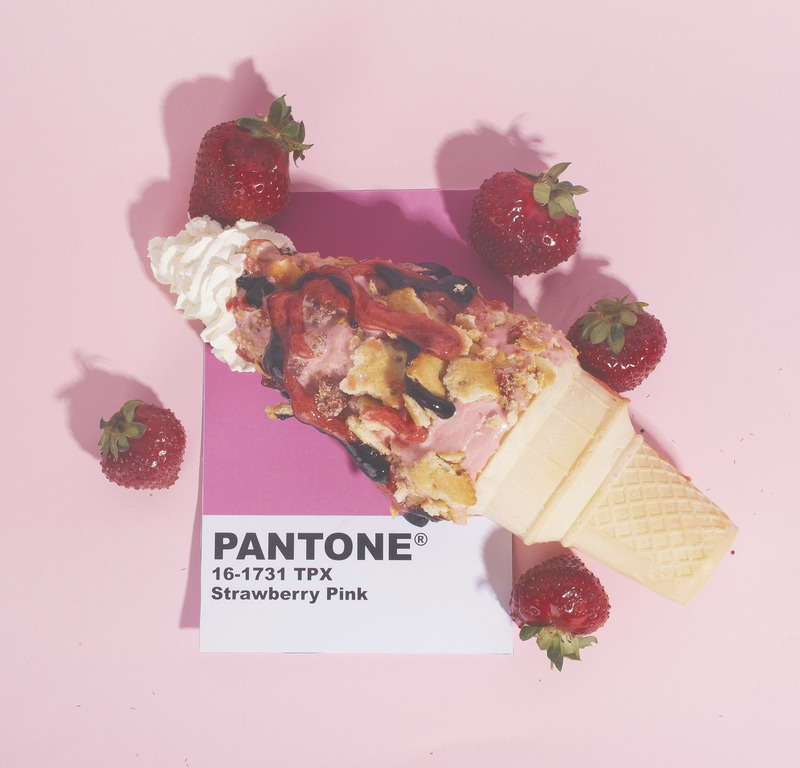 The FDA has a separate regulatory process to approve the use of food additives specifically for color, and Impossible Foods is preparing to engage in that process to ensure it has maximum flexibility as its products and business continue to evolve. On July 25, Tim Hortons will launch Breakfast Anytime, Any Tims: offering breakfast menu items any time at participating Tim Hortons restaurants in Canada. Tim Hortons first piloted Breakfast Anytime in several Ontario locations earlier this year – a decision motivated by increased guest demand for the all-day menu offering. Following positive feedback from restaurant owners and guests, Tim Hortons is offering Breakfast Anytime beginning this week. The menu will feature guest’s favourite breakfast items formerly only available until Noon, including the Classic Hot Breakfast Sandwich on a Biscuit or English Muffin, Golden Hash Browns and more. The new offering complements Tim Hortons Winning Together strategy, which is focused on three key areas – restaurant experience, product excellence and brand communications. Tim Hortons is committed to delivering the best guest experience and offering Canadians top quality products whenever they want throughout the day.